The Evo Barrier is a quality 1-metre water filled barrier system designed for easy deployment by just a single person. 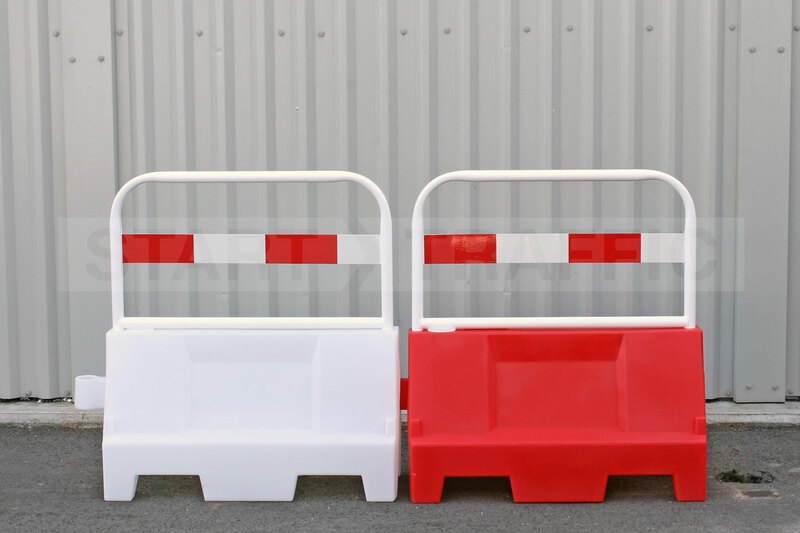 The Barriers are available in Red or White allowing clear delineation when in situ. As with all water filled barriers, these are easy to manoeuvre and work well with either water or sand as ballast. These barriers are seen all over the UK on construction sites and road works. They are most commonly used to cordon off an area or delineate traffic. Durable Long lasting Plastic Design. Designed to be stacked. 24 per pallet. These barriers come with the option of either having a mesh fence top panel or a reflective plank panel which slot into the top. If you are using the barrier to separate traffic from the pedestrians then we recommend using either the mesh panel or the reflective plank. The Reflective Plank benefits from greater visibility with a reflective strip mounted to the middle of the panel. Please check the specification tab for your requirements. These mesh tops are great for using around areas with high traffic. It prevents children putting their hands through into harm's way. We supply a metal plank top option (plastic options are available). This improves the visibility of the barrier by adding a reflective panel. Corner Sections can be purchased separately to produce neat 90-degree corners. This can ensure that all sites are surrounded by an unbroken chain. 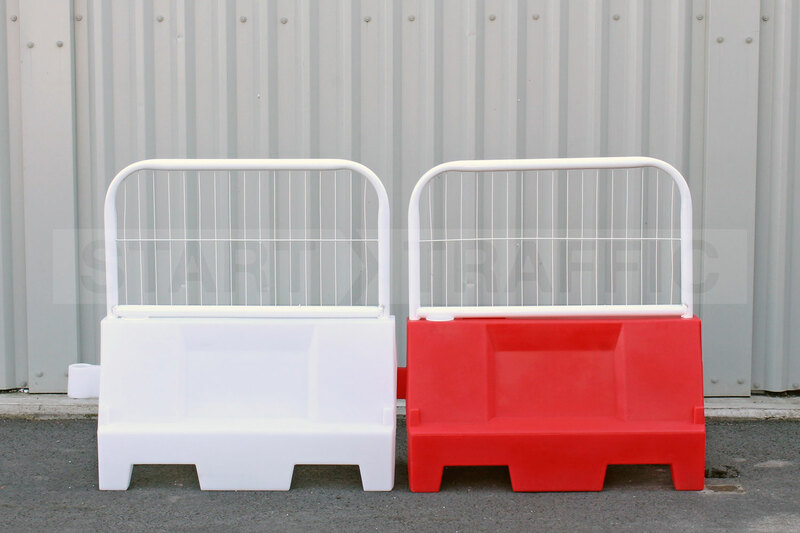 Each barrier section is easily stacked for cost effective transport and features a simple interlocking design so each unit is linked to the next. Once filled with water or sand, the weight makes unauthorised dismantling and removal very difficult. Units can be installed by a single person! Also available in 1.5 Metre Length version! 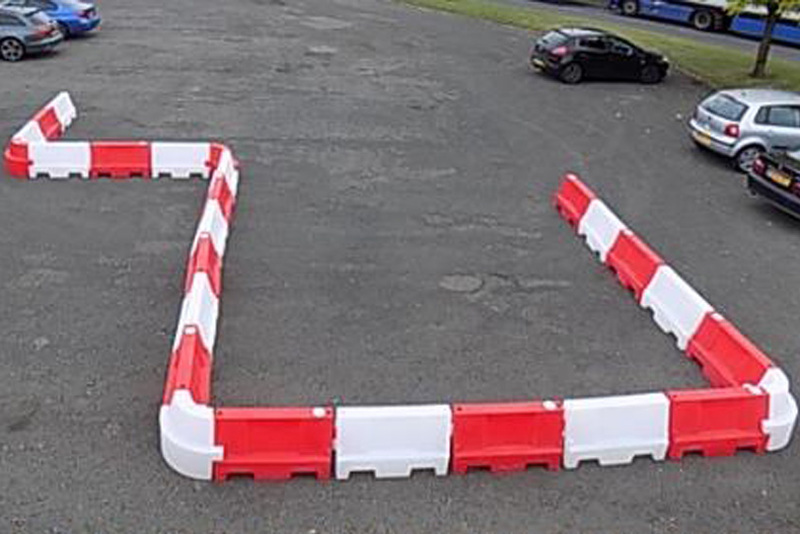 Need More Information On The Evo 1m Barrier? Give us a call on 01905 794 875 to speak to one of our sales team, they will be happy to discuss pricing, options and availability with you. If you have any questions that you would like answered about the product then they will also be more than happy to assist you.